Looking north along the western edge of the Granary excavations. A large storage vessel crushed by the weight of the overlying sediments is visible at the edge of a small wall. 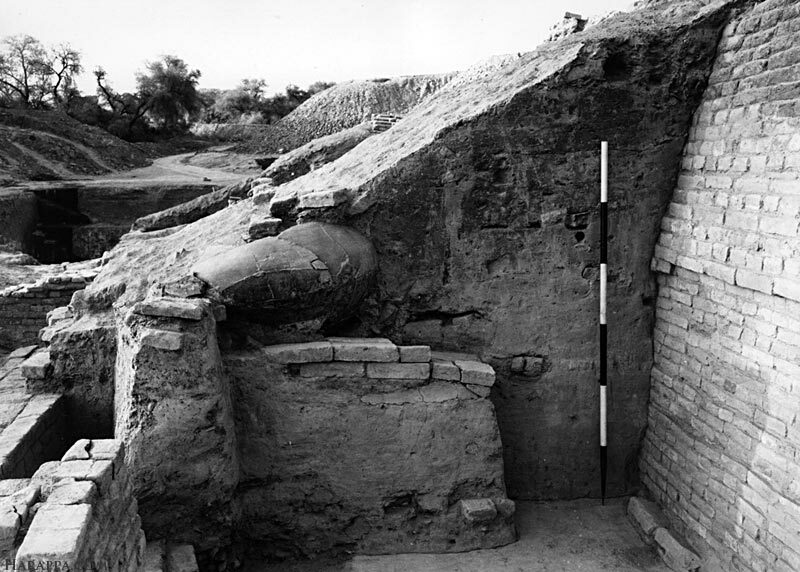 The fired brick wall on the right shows multiple building levels and may represent a facing for a mud brick platform underlying the Granary, or simply a series of walls of buildings that were later filled in and used as foundations for later structures. The edge of the deep sounding is seen in in the top left part of the photo.